Prepared and released DLA-944-1 for openvpn 2.2.1-8+deb7u4 fixing CVE-2017-7479. Prepared and released DLA-946-1 for nss 3.26-1+debu7u3 fixing two CVE. Worked on bin/lts-cve-triage.py to no longer hide CVE on unsupported packages so that we actually add the proper status marker on each CVE. Handled CVE triage for a whole week. Debian Handbook. I started to work on the update of the Debian Administrator’s Handbook for Debian 9 Stretch. As part of this, I noticed a regression in dblatex and filed this issue both in the upstream tracker and in Debian and got that issue fixed in sid and stretch (sponsored the actual upload, filed the unblock request). I also stumbled on a regression in dia which was due to an incorrect Debian-specific patch that I reverted with a QA upload since the package is currently orphaned. Django. On request of Scott Kitterman, I uploaded a new security release of Django 1.8 to jessie-backports but that upload got rejected because stretch no longer has Django 1.8 and I’m not allowed to maintain that branch in that repository. Ensued a long and heated discussion that has no clear resolution yet. It seems likely that some solution will be found for Django (the 1.8.18 that was rejected was accepted as a one-time update already, and our plans for the future make it clear that we would have like to have an LTS version in stretch in the first place) but the backports maintainers are not willing to change the policy to accomodate for other similar needs in the future. The discussion has been complicated by the intervention of Neil Williams who brought up an upgrade problem of lava-server (#847277). Instead of fixing the root-problem in Django (#863267), or adding a work-around in lava-server’s code, he asserted that upgrading first to Django 1.8 from jessie-backports was the only upgrade path for lava-server. In the 11 hours of (paid) work I had to do, I managed to release DLA-716-1 aka tiff 4.0.2-6+deb7u8 fixing CVE-2016-9273, CVE-2016-9297 and CVE-2016-9532. It looks like this package is currently getting new CVE every month. Then I spent quite some time to review all the entries in dla-needed.txt. I wanted to get rid of some misleading/no longer applicable comments and at the same time help Olaf who was doing LTS frontdesk work for the first time. I ended up tagging quite a few issues as no-dsa (meaning that we will do nothing for them as they are not serious enough) such as those affecting dwarfutils, dokuwiki, irssi. I dropped libass since the open CVE is disputed and was triaged as unimportant. While doing this, I fixed a bug in the bin/review-update-needed script that we use to identify entries that have not made any progress lately. Then I claimed libgc and and released DLA-721-1 aka libgc 1:7.1-9.1+deb7u1 fixing CVE-2016-9427. The patch was large and had to be manually backported as it was not applying cleanly. The last thing I did was to test a new imagemagick and review the update prepared by Roberto. The pkg-security team is continuing its good work: I sponsored patator to get rid of a useless dependency on pycryptopp which was going to be removed from testing due to #841581. After looking at that bug, it turns out the bug was fixed in libcrypto++ 5.6.4-3 and I thus closed it. I sponsored many uploads: polenum, acccheck, sucrack (minor updates), bbqsql (new package imported from Kali). A bit later I fixed some issues in the bbsql package that had been rejected from NEW. I managed a few RC bugs related to the openssl 1.1 transition: I adopted sslsniff in the team and fixed #828557 by build-depending on libssl1.0-dev after having opened the proper upstream ticket. I did the same for ncrack and #844303 (upstream ticket here). Someone else took care of samdump2 but I still adopted the package in the pkg-security team as it is a security relevant package. I also made an NMU for axel and #829452 (it’s not pkg-security related but we still use it in Kali). Django. I participated in the discussion about a change letting Django count the number of developers that use it. Such a change has privacy implications and the discussion sparked quite some interest both in Debian mailing lists and up to LWN. On a more technical level, I uploaded version 1.8.16-1~bpo8+1 to jessie-backports (security release) and I fixed RC bug #844139 by backporting two upstream commits. This led to the 1.10.3-2 upload. I ensured that this was fixed in the 1.10.x upstream branch too. dpkg and merged /usr. While reading debian-devel, I discovered dpkg bug #843073 that was threatening the merged-/usr feature. Since the bug was in code that I wrote a few years ago, and since Guillem was not interested in fixing it, I spent an hour to craft a relatively clean patch that Guillem could apply. Unfortunately, Guillem did not yet manage to pull out a new dpkg release with the patches applied. Hopefully it won’t be too long until this happens. Debian Live. I closed #844332 which was a request to remove live-build from Debian. While it was marked as orphaned, I was always keeping an eye on it and have been pushing small fixes to git. This time I decided to officially adopt the package within the debian-live team and work a bit more on it. I reviewed all pending patches in the BTS and pushed many changes to git. I still have some pending changes to finish to prettify the Grub menu but I plan to upload a new version really soon now. Misc bugs filed. I filed two upstream tickets on uwsgi to help fix currently open RC bugs on the package. I filed #844583 on sbuild to support arbitrary version suffix for binary rebuild (binNMU). And I filed #845741 on xserver-xorg-video-qxl to get it fixed for the xorg 1.19 transition. Zim. While trying to fix #834405 and update the required dependencies, I discovered that I had to update pygtkspellcheck first. Unfortunately, its package maintainer was MIA (missing in action) so I adopted it first as part of the python-modules team. Distro Tracker. I fixed a small bug that resulted in an ugly traceback when we got queries with a non-ASCII HTTP_REFERER. I handled a new LTS sponsor that wanted to see wheezy keep supporting armel and armhf. This was not part of our initial plans (set during last Debconf) and I thus mailed all teams that were impacted if we were to collectively decide that it was OK to support those architectures. While I was hoping to get a clear answer rather quickly, it turns out that we never managed to get an answer to the question from all parties. Instead the discussion drifted on the more general topic of how we handle sponsorship/funding in the LTS project. Fortunately, the buildd maintainers said they were OK with this and the ftpmasters had no objections, and they both implicitly enacted the decision: Ansgar Burchardt kept the armel/armhf architectures in the wheezy/updates suite when he handled the switch to the LTS team, and Aurélien Jarno also configured wanna-build to keep building armel/armhf for the suite. The DSA team did not confirm that this change was not interfering with one of their plans to decommission some hardware. Build daemons are a shared resource anyway and a single server is likely to handle builds for multiple releases. I want to share the setup we use in Kali as it can be useful for other derivatives and also for Debian itself to help smooth the relationship with derivatives. I also want to open again the debate on the usage of money within Debian. It’s a hard topic but we should really strive to take some official position on what’s possible and what’s not possible. With Debian LTS and its sponsorship we have seen that we can use money to some extent without hurting the Debian project as a whole. Can this be transposed to other teams or projects? What are the limits? Can we define a framework and clear rules? I expect the discussion to be very interesting in the BoF. Mehdi Dogguy has agreed to handle this BoF with me. Django. I uploaded 1.8.12 to jessie-backports and 1.9.5 to unstable. I filed two upstream bugs (26473 and 26474) for two problems spotted by lintian. Unfortunately, when I wanted to upload it to unstable, the test suite did not ran. I pinned this down to a sqlite regression. Chris Lamb filed #820225 and I contacted the SQLite and Django upstream developers by email to point them to this issue. I helped the SQLite upstream author (Richard Hipp) to reproduce the issue and he was quick to provide a patch which landed in 3.12.1. Later in the month I made another upload to fix an upgrade bug (#821789). GNOME 3.20. 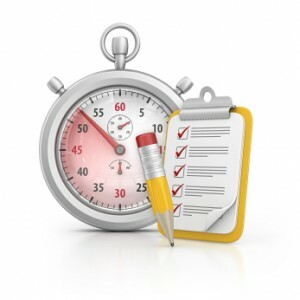 As for each new version, I updated gnome-shell-timer to ensure it works with the new GNOME. This time I spent a bit more time to fix a regression (805347) that dates back to a while and that would never be fixed otherwise since the upstream author orphaned this extension (as he no longer uses GNOME). Distro Tracker. I started to mentor Vladimir Likic who contacted me because he wants to contribute to Distro Tracker. I helped him to setup his development environment and we fixed a few issues in the process. I also investigated #819958 that was affecting testing since it has been reported to Kali as well. And I made an NMU of dh-make-golang to fix #819472 that I reported earlier. Sent a first patch and later an updated patch to modify DAK so that it can send the accept/reject mails to the signer of the upload instead of the maintainer. Details in #796784. Uploaded MySQL 5.5 compabitility fixes for phpmyadmin and postfix-policyd so that we could release MySQL 5.5 as an upgrade option MySQL 5.1 (see DLA 359-1). Released DLA 361-1 on bouncycastle after having gotten the green light from upstream. Released DLA 362-1 on dhcpd fixing three CVE. Released DLA 366-1 on arts fixing one CVE. Released DLA 367-1 on kdelibs fixing one CVE. Handled the LTS frontdesk for a whole week. Sponsored the upload of foomatic-filters for DLA 371-1. Released DLA 372-1 announcing the end of support of virtualbox-ose. Updated git repository of debian-security-support to account for the former change and also took care of a few pending issues. Released DLA 376-1 on mono to fix one CVE. Added some initial DEP-8 tests to python-django that will help to ensure that a security update doesn’t break the package. I put a big focus on tracker.debian.org work this month. I completed the switch of the mail interface from packages.qa.debian.org to tracker.debian.org and I announced the change on debian-devel-announce. The changes resulted in a few problems that I quickly fixed (like #807073) and some other failures seen only by me and that were generated by weird spam messages (did you know that a subject can’t have a newline character but that it can be encoded and folded over multiple lines?). Related to that I fixed some services so that they send their mails to tracker.debian.org directly instead of relying on the old emails (they get forwarded for now but it would be nice to be able to get rid of that forward). I updated (with the help of Lucas Nussbaum) the service that forwards the Launchpad bugs to the tracker, I sent a patch to update the @packages.debian.org aliases (not yet applied), I updated the configuration of all git commit notice scripts in the Alioth collab-maint and python-modules project (many remain to be done). I asked Ubuntu’s Merge-O-Matic to use the new emails as well (see LP 1525497). DAK and the Debian BTS still have to be updated, as of yet nobody reacted to my announce… last but not least I updated many wiki pages which duplicated the instructions to setup the commit notice sent to the PTS. While on a good track I opted to tackle the long-standing RC bug that was plaguing tracker.debian.org (#789183), so I updated the codebase to rely on Twitter’s bootstrap v4 instead of v2. I had to switch to something else for the icons since glyphicons is no longer provided as part of bootstrap and the actual license for the standalone version was not suitable for use. I opted for Github’s Octicons. I made numerous little improvements while doing that (closing some bugs in the process) and I believe that the result is more pleasant to use. Django. After having added DEP-8 tests (as part of my LTS work, see above), I discovered that the current version in unstable did not pass its test suite… so I filed the issue upstream (ticket 26016) and added the corresponding patch. And I encouraged others to update python-bcrypt in Debian to a newer version that would have worked with Django 1.9 (see #803096). I also fixed another small issue in Django (see ticket 26017 with my pull request that got accepted). I asked the release managers to consider accepting the latest 1.7.x version in jessie (see #807654) but I have gotten zero answer so far. And I’m not the only one waiting an answer. It’s a bit of a sad situation… we still have a few weeks until the next point release but for once I do it in advance and I would love to have timely feedback. Last but not least, I started the maintaining the current LTS release (1.8.x) in jessie-backports. Tryton. I upgraded to Tryton 3.8 and discovered an issue that I filed in #806781. I sponsored 5 new tryton modules for Matthias Behrle (who is DM) as well as one security upload (for CVE-2015-0861). Debian Handbook. 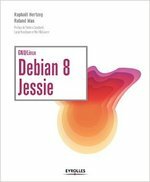 I uploaded a new version to Debian Unstable and requested (to the release managers) the permission to upload a backport of it to jessie so that jessie has a version of the package that documents jessie and not wheezy… contrary to my other Django request, this one should be non-controversial but I also have had zero answer so far, see #807515. Misc. I filed #808583 when sbuild stopped working with Perl 5.22. I handled #807860 on publican, I found the corresponding upstream ticket and discovered a work around with the help of upstream (see here). I reported a bug to #debian-apt about apt miscalculating download size (ending up with 18 EB!) which resulted in a fix here in version 1.1.4. Installing a meta-package that needed more than 2GB was no longer possible without this fix and we have a kali-linux-all metapackage in that situation that gets regularly installed in a Jenkins test. I added captcha support to Distro Tracker and enabled this feature on pkg.kali.org.